Please join us tomorrow for a Palm Sunday procession. The service is in Potterhanworth and we will processing from the primary school to the church accompanied by a donkey again. There will be a small said service at the school starting at 9.15am when palm crosses will be distributed. Palm Sunday marks the start of Holy Week culminating on Easter Sunday. 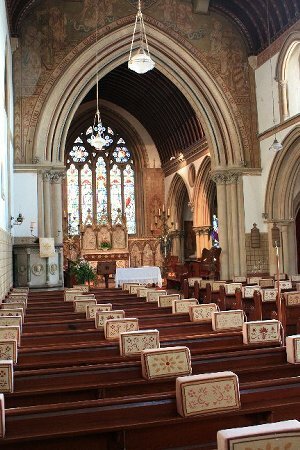 Everyday throughout Holy Week there will be some type of worship at one of the benefices three churches, Branston, Potterhanworth and Nocton. Please try and find the time in your busy week to join us, and take some time to reflect on the true 'un-chocolatey' flavour of Easter. The Prime Minister has confirmed the appointment of the Venerable Christopher Lowson as 72nd Bishop of Lincoln. Christopher has been Director of Ministry for the Church of England since February 2006. In this role he has led a team responsible for developing policy and delivering support to those in lay and ordained ministry throughout the Church of England. The Ministry Division advises the House of Bishops, the Archbishops' Council and the General Synod on ministry matters and is responsible for the selection and the oversight of the training of more than 900 new clergy, lay Readers and others admitted to ministry each year. Born in 1953 in the north-eastern industrial steel town of Consett in Co. Durham, Christopher attended Blackfyne Comprehensive School, and was encouraged to explore the possibility of the ordained ministry soon after his confirmation when he was 13 years old. His father, grandfather (a professional footballer) and great-grandfather had all worked at Consett's steel works, and Christopher worked there for two summers as a labourer in the coke ovens at the plant while undertaking his initial training for the ordained ministry. He completed his studies at King's College London and in St Augustine's College, Canterbury (AKC), where two of his fellow students were the current bishops of Grimsby and Grantham. In 1976 he married Susan, and in the same year was awarded a World Council of Churches Scholarship to study at Berkeley in California where he studied within the Graduate Theological Union and gained the degree of Master of Sacred Theology (STM) for his work on the relationship between theology and literature, writing a dissertation on theological themes in the poetry of Samuel Taylor Coleridge. Christopher was ordained deacon in the Diocese of Southwark in 1977, and priest in 1978. He spent five years as a curate in Richmond in southwest London. His first post in charge of a parish was Holy Trinity Eltham - a suburban parish in the London Borough of Greenwich where he was also Anglican chaplain to Avery Hill College of Education - later part of Thames Polytechnic and now the University of Greenwich. After nine years he was appointed to be vicar of Petersfield, a market town in Hampshire, and rector of a village on the edge of the South Downs, Buriton. During this time he studied as a part-time student at Heythrop College, in the University of London for a Master of Theology degree (MTh) in pastoral theology, writing a dissertation on models of ordained leadership in a rural context. In 1999 he took up the post of Archdeacon of Portsmouth, later to become the Archdeacon of Portsdown. 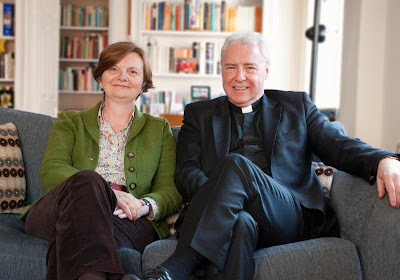 He chaired the Diocese of Portsmouth's Board of Ministry and the Kairos Project, a programme of renewal for the diocese which encouraged parishes and diocesan bodies in Portsmouth to take part in an 18-month process of study, prayer and reflection on the needs of the their local communities before producing five-year plans for mission and ministry. He also helped devise and teach an MA course in Church and Community Studies at the University of Portsmouth for clergy, Readers, teachers and other professionals. In 2003 he completed a Master of Laws degree in Canon Law (LLM) at Cardiff Law School in which he explored legal issues surrounding the history and future of the parson's freehold, and in 2006 took up his current post in London. Susan, his wife, is a registered general and paediatric nurse who now works as a lead clinician for the Parliamentary and Health Service Ombudsman, providing clinical advice in relation to complaints about the National Health Service in England. She is also churchwarden of St Matthew's Church, Westminster. Christopher and Susan have two grown-up children: James (31) now married to Katie (also the child of an archdeacon) who works for Dow Jones in London - Katie works for the BBC - and Rebecca (29) who is a History graduate and who now lives and works in Manchester. "It was a great honour to be invited to be Bishop of Lincoln, and my immediate instinct was to accept," said Christopher. "It is daunting to be part of a great tradition of people who have all left their legacy in the Diocese, and I pray that I can live up to this great challenge. We're very much looking forward moving to Lincoln, and exploring the wonderful diversity in the Diocese, and to leading God's work here. "Being a bishop is about supporting and encouraging the clergy and laity of the Diocese at the grass-roots. It's about mobilising the people of the Christian community to engage with the life of the world in order together to uncover and build God's Kingdom. Christians need to work together with all people of good will - of faith and no faith, in the public, private and voluntary sectors - to serve the common good and to build a community in which all people can flourish and grow into the people God has made them to be." The Lord Bishop of Norwich, the Rt Revd Graham James, who is also chair of the Church of England's Ministry Division, said: "Christopher Lowson has the gentle authority of a fine pastor and the clarity of mind of a superb teacher. "He's been greatly appreciated as a parish priest, archdeacon and most recently as Director of Ministry Division. Lincoln will soon count itself fortunate to have Christopher as its bishop." To relax, Christopher enjoys watching live sport, particularly cricket and football, and walking. "Susan and I are looking forward to being much closer to the countryside," said Christopher. Where Are We Now With The Roof? Well we are nearly there. The roof repairs will start 4th July and hopefully be completed before 12th November. Paul Mendham (Stonemasons) has been selected as the preferred contractor for the external repairs and Hirst Conservation have been selected to undertake the artwork restoration inside the church. To complete the works to the plan we originally envisaged, there is currently a shortfall of £19,000. I dont think out of an overall budget of just over £200,000 that is too bad at this stage though. That gives us around 12 months to raise the extra capital. I will continue to persue grant awarding bodies for anything we can obtain. Other members of the church community (such as Carol Bennett, Ann kennedy, Doreen Green and Elsie Horton) are busy organising fundraisers such as the Buffet Lunch on the 8th May and the Lincs Effect Concert on 25th June. An appeal has gone out to the local community in this months magazine for more of you to become supporters of Nocton Church (last year the appeal raised over £3,000). Please help us out in this one last push. This is a once in a lifetime chance to keep this building intact and good for another 150 years. It is the most precious building in the village and its our way of leaving our mark in history. I look forward to any help you can offer. Whether its by way of a gift or you fund raising for us. Thanks! We held our Annual Parochial Church Meeting last night and a number of Changes to the Office holders took place. Chris Hewitt stood down owing to a conflict with the role and his ongoing ministry training. Nicholas Bennett was newly elected. but he stood down as treasurer after 47 years !!!!! Liz Murray was re-elected as secretary. Ruth Eagle was re-elected as our Graffoe Deanery Synod representitive. Doreen Green, Elsie Horton and Ann Kennedy were also re-elected to the PCC. We discussed our Mission and Ministry last year, the fabric of the building and the ongoing repairs. The meeting ended just after 9pm. If anyone is interested we still have a vacancy for a PCC member.